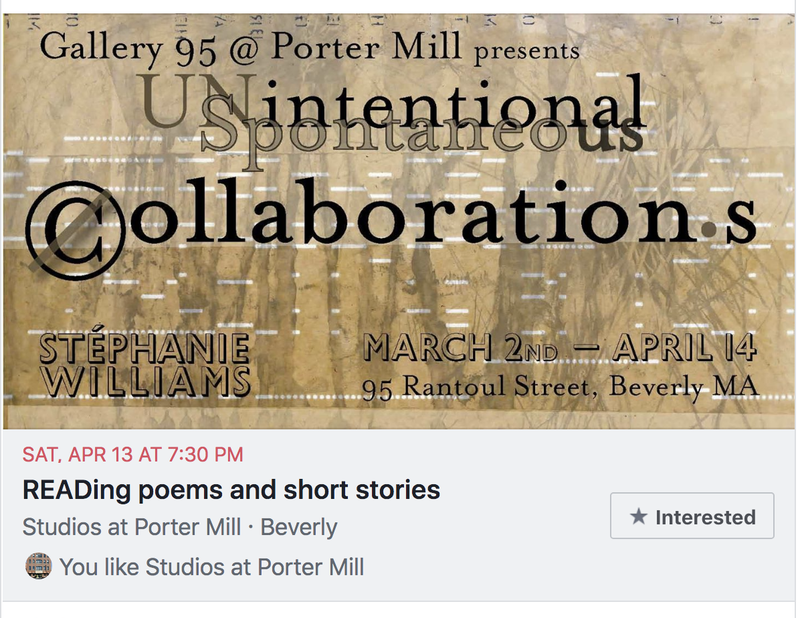 Unintentional Spontaneous Collaborations will be closing this weekend! 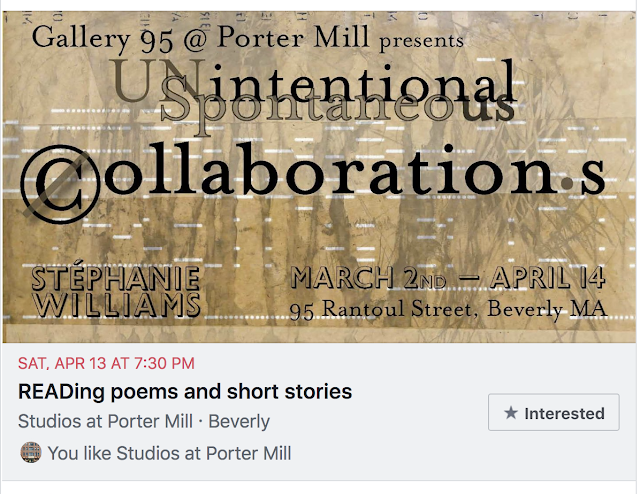 Join us for the final event READing! Poet Margaret Young will kick off the evening. Bring a short story or poem to read, and come and enjoy the art. Gallery hours 4-9pm. Readings begin at 7:30.